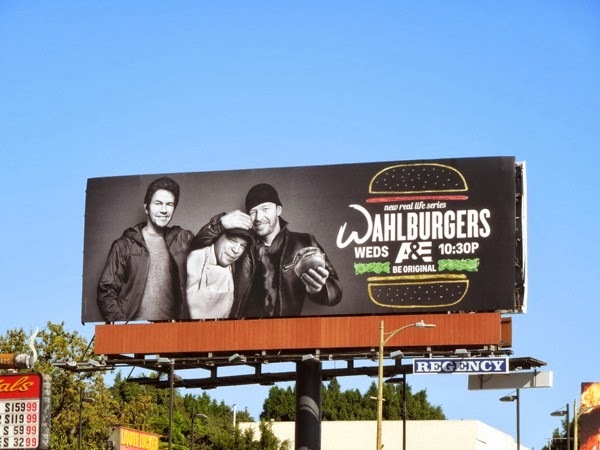 Yesterday was all about healthy fruit juice ads, today it's the turn of food-themed TV shows, with A&E's Wahlburgers. We all know Mark Wahlberg from his Calvin Klein underwear modeling to his successful Hollywood career, from films like 1997's breakout Boogie Nights, to his Golden Globe and Oscar-nominated turns in The Departed and The Fighter (and soon to be the new lead in the Transformers franchise this summer), but now it's time to get to know the rest of the Boston family and their hamburger restaurant business. 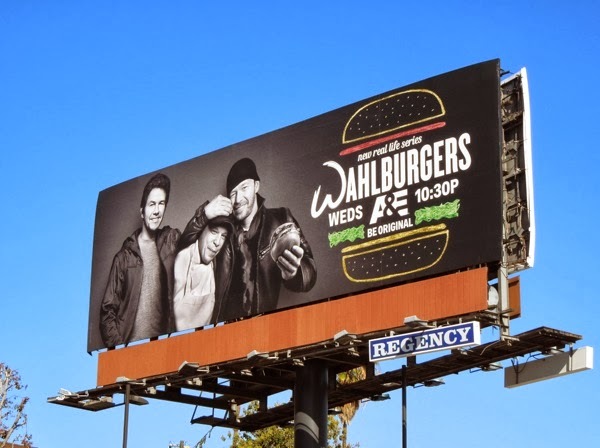 The new reality TV series follows Boston chef Paul Wahlberg, the fifth of nine Wahlberg siblings and older brother of Mark and Donnie (also an actor and of course, New Kids on the Block teen boy band heartthrob), as he looks to expand his burger business and also a glimpse at the lives of the people who hang out at his eateries. 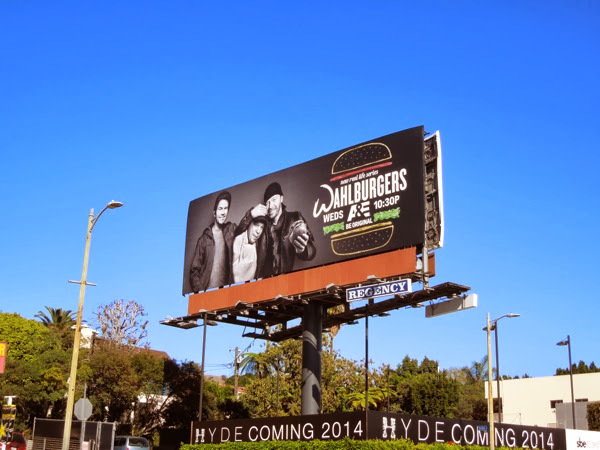 This fun family billboard was first spied along Sunset Boulevard in West Hollywood on January 22, 2014. Let's hope it's more successful than another A&E family reality show, The Hasslehoffs (axed after two episodes on the air), and more like Gene Simmons Family Jewels (which lasted seven seasons). 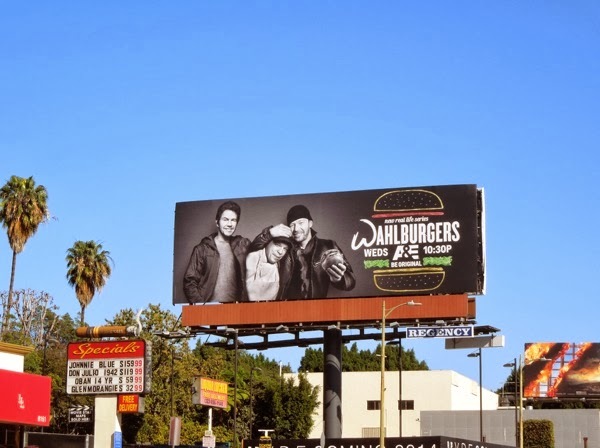 Have you taken a bite out of this new reality TV series yet?